I finally had a weekend with nothing planned so I hopped into my car and drove to Brooklyn to spend some time with my Aunt Jean. Aunt Jean is my Dad’s oldest sister and her 70th birthday bash was the inspiration behind this blog. She is hip and fabulous and always a joy to be around! I love visiting her because I get to relax and enjoy her tasty Guyanese dishes. There was no relaxing for me this time around. Shortly after I arrived we got busy making Guyanese patties accompanied by some soca music playing from a random music station that can only be picked up in Brooklyn. She was amused at my attempts to get the recipe down because I had to make sure we measured EVERYTHING! She mentioned to me several times how my grandmother never measured and knew exactly how much of each ingredient to add. Needless to say, I managed to get everything down and have the recipe for you below. 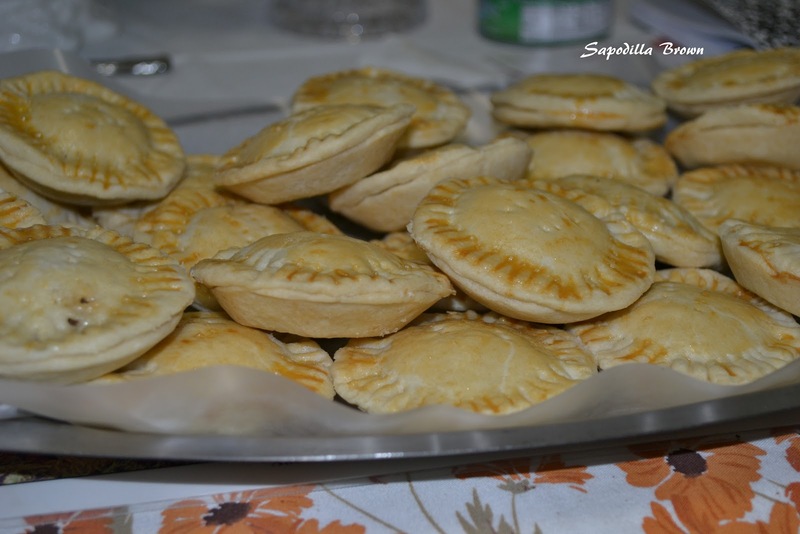 Guyanese patties are usually served as an appetizer or snack at almost every family gathering or large event. 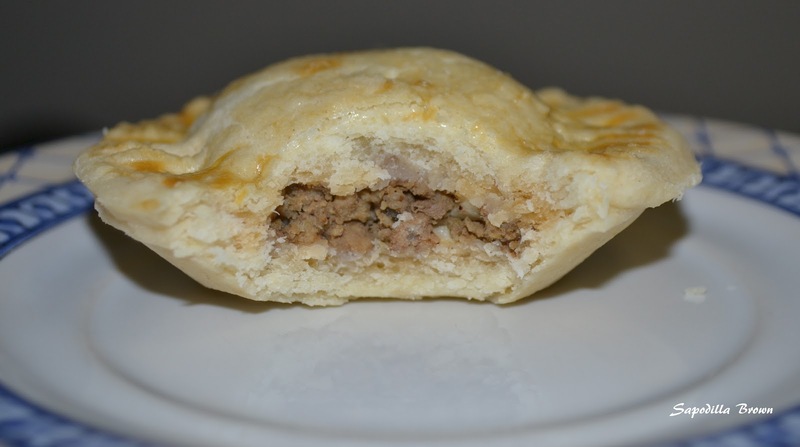 They are usually round in shape but you can also make them in the shape of Jamaican beef patties which have a half moon shape. 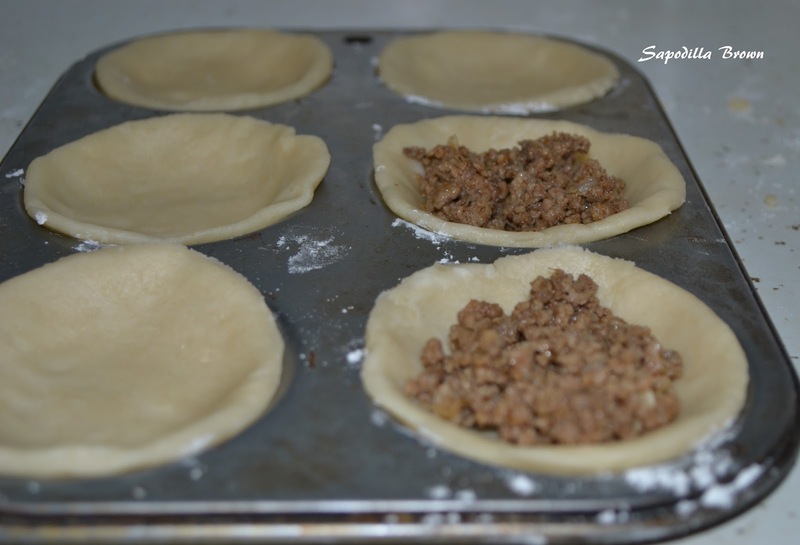 They are traditionally filled with ground beef but feel free to use whatever ground meat you fancy. 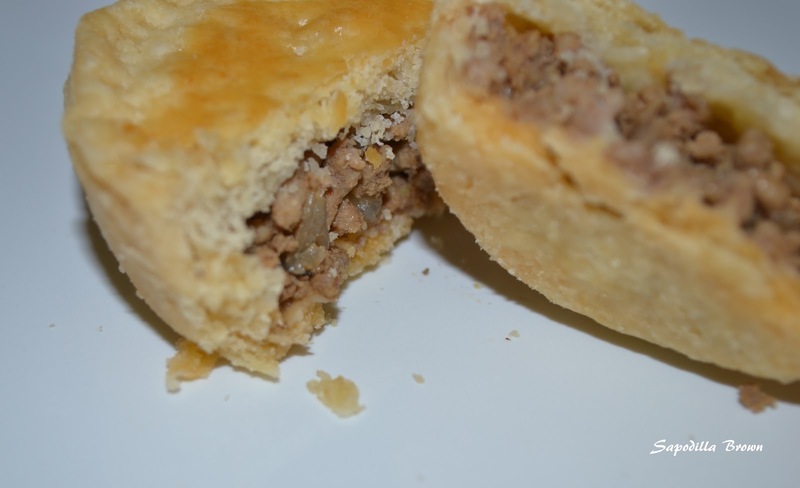 You can also make a vegetarian filling or add peas, mixed vegetables or potatoes to the meat filling. 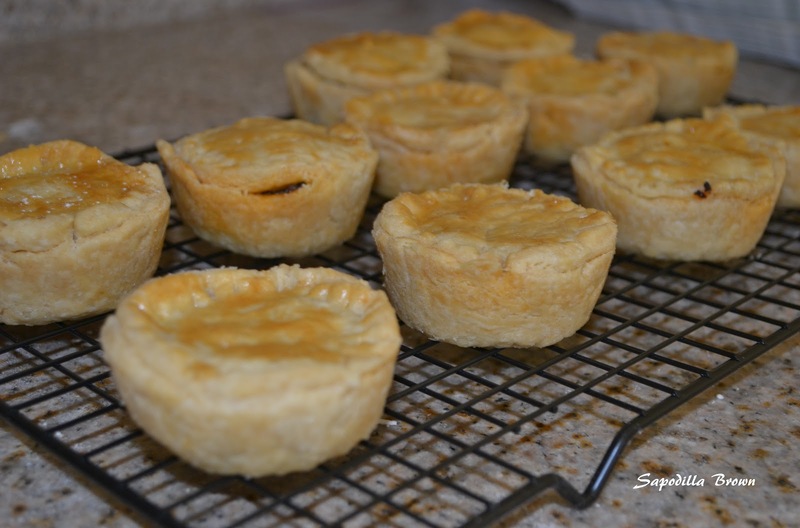 For baking the patties, Aunt Jean uses what she calls a patty pan which is very similar to a shallow muffin pan. If you don’t have one on hand, no worries, a regular muffin pan will suffice and so will a cookie sheet. Add the fat and use your fingertips to rub the fat into the flour until it resembles breadcrumbs. Lift the flour while rubbing the fat in to add air to it. Cover dough with saran wrap and refrigerate. If planning on using dough right away, cover with a clean dish cloth and put a few ice cubes on top of the cloth. Bake for 25 – 30 minutes until golden brown and ENJOY! Thanks for stopping by J! Before you’re on to the next one leave a comment below and connect with me on Twitter and Facebook. One Love – SapBrown.